Vern is entering his 50th year as a coach. On this episode he looks back at how his coaching has evolved. 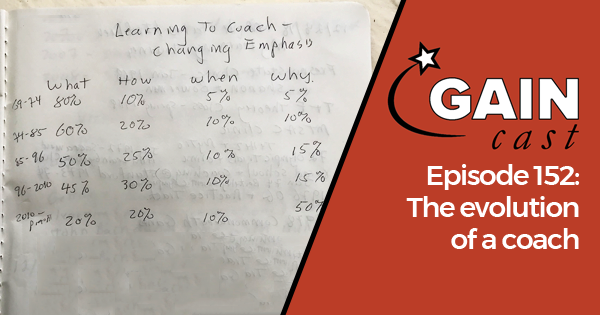 More specifically, he looks at when he started asking different questions during different stages of his career and how that helped him improve his coaching.